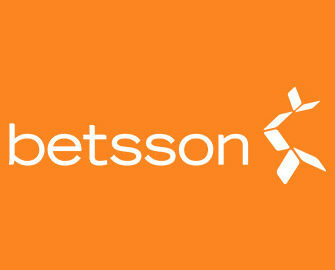 Betsson – New Daily Picks! Enjoy Free Spins, Bonuses and tournaments, every day of the week! Wouldn’t it be great if we had our own Claw Machine that would allow us to have a daily treat? Well, that is exactly what Betsson has on offer. Their very own Claw Machine will reward loyal players with tournaments with guaranteed winnings, wager rewards, Free Spins on deposit or a 100% cashback on a selected slot. It never fails to surprise, log-in today to find out as you can start your gaming week with a €10 wager reward. Not yet joined the fun at Betsson? Then sign-up now and claim their generous 100% Welcome Bonus, up to €100. Monday, 31st July 2017: Fruity Cashback – Wager minimum €20 on Phoenix Sun and instantly receive a €10 bonus. WR is 35x within three days. Tuesday, 1st August 2017: Sweet Free Spins – Make a single deposit of min. €25 to instantly receive 50FS on Sweet 27. Spins must be played by midnight. WR is 35x FS winnings within 3 days. Wednesday, 2nd August 2017: Sakura Cashback – Get a 100% cashback bonus on net losses when playing Sakura Fortune, up to €50. Cashback will be credited on Friday with a 5x WR. Thursday, 3rd August 2017: 5,000 Western Free Spins – Wager minimum €10 on Wild Wild West: The Great Train Heist™ to get an equal share of the prize pool. Free Spins will be credited by 18:00 CET on Friday. WR is 35x FS winnings within three days. Friday, 4th August 2017: Foxy Bonus – Wager minimum €20 on Foxin’ Wins and instantly receive a €10 bonus. WR is 35x within three days. Saturday, 5th August 2017: Viking Free Spins – Wager minimum €50 on any slot to instantly receive 60FS on Viking Runecraft. Spins must be played by midnight. WR is 35x FS winnings within 3 days. Make sure to OPT-IN first before depositing or starting your play. All bonuses and Free Spins, except the cashback and the tournament prizes, are instantly credited the soon the conditions are met and are subject to standard wagering requirements. Bonuses and Free Spins must be claimed and played before 23:59 CET on the day they were awarded. Wagering requirement for both is 35x within three days. Betsson Bonus Terms and Conditions apply, always read them carefully. Launched in 2001, the casino is operated by BML Group Ltd. and holds MGA Malta and UK licenses. Betsson offers Sportsbook, Poker, Bingo, Scratch Cards, Games, Casino and Live Casino with games from acclaimed suppliers such as Netent, 1×2 Gaming, 2BY2 Gaming, Ainsworth, Aristocrat, Bally, Barcrest, Big Time Gaming, Blueprint Gaming, ELK Studios, Fantasma, Foxium, Jadestone, Leander, Lightning Box, Microgaming, NextGen, Novomatic, NYX Interactive, ONgame, Play’n GO, Quickspin, Realistic Games, Red Tiger Gaming, Scientific Games, StakeLogic, Thunderkick, Williams Interactive and Yggdrasil. The LIVE Casino tables are powered by Evolution Gaming, Extreme Live Gaming and NetEnt Live. Betsson – €20K Quickspin Tournament! 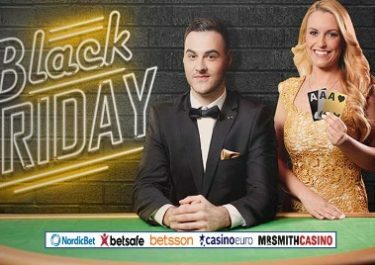 Betsson – Black Friday Bonanza! Betsson – Twin Spin’s 5th Birthday!